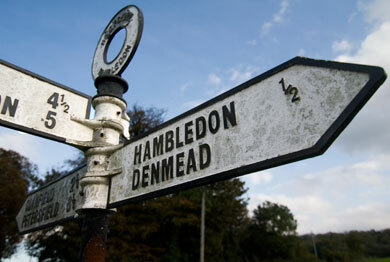 We are based in the village of Hambledon in the Meon Valley. We have a treatment room at our home on Speltham Hill where we can see patients throughout the week and some evenings. Alternatively we keep a few appointments each week in the Doctors' surgery at the village hall, which has wheelchair access. We recommend taking a look at the map below and planning your route to come through the centre of the village. Many sat-navs will direct you through the maze of narrow country lanes!